Item # 156419 Stash Points: 6,495 (?) This is the number of points you get in The Zumiez Stash for purchasing this item. Stash points are redeemable for exclusive rewards only available to Zumiez Stash members. To redeem your points check out the rewards catalog on thestash.zumiez.com. 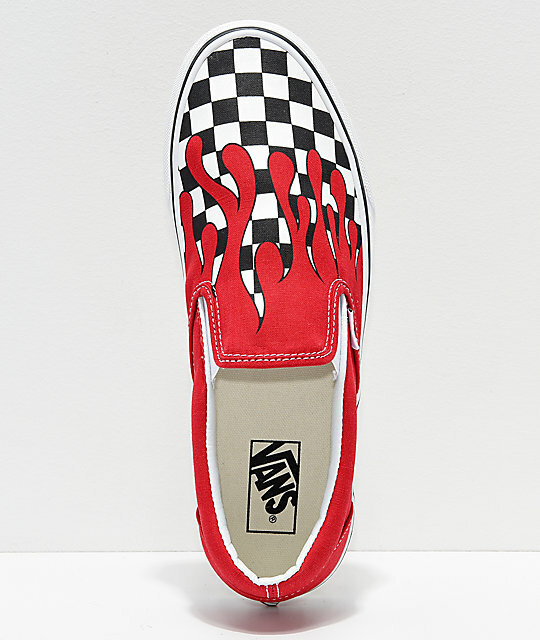 For a durable pair of sneakers that will never go out of style, look no further than the Slip-On Checkerboard Flame Red & White Skate Shoes from Vans. 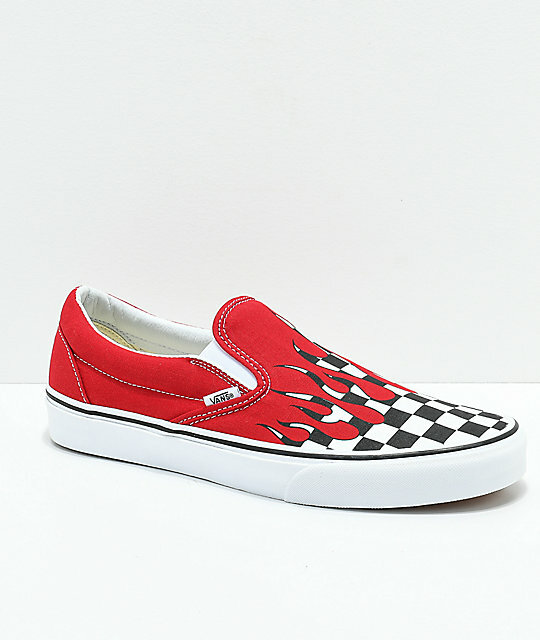 These canvas skate shoes are featured with a black and white checkered design with red flame details offering a pop of color to your casual looks. Complete with UltraCush insoles for impact support and a vulcanized construction for board feel, these classic skate shoes are built for performance and style. 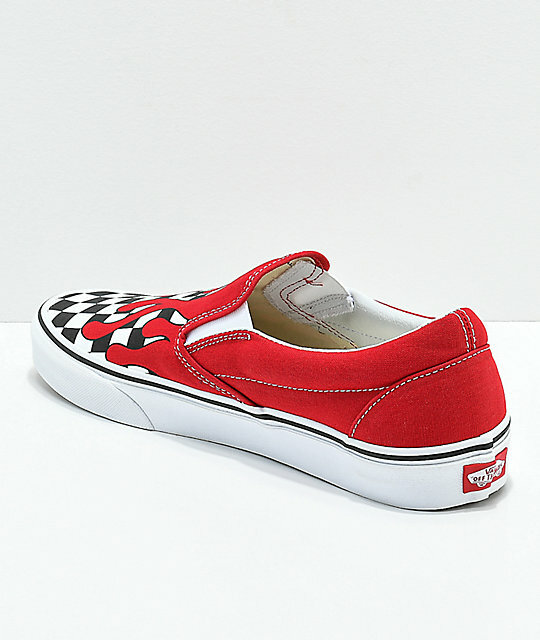 Slip-On Checkerboard Flame Red & White Skate Shoes from Vans. Canvas upper with checkerboard flame pattern throughout toe box and back of heel. 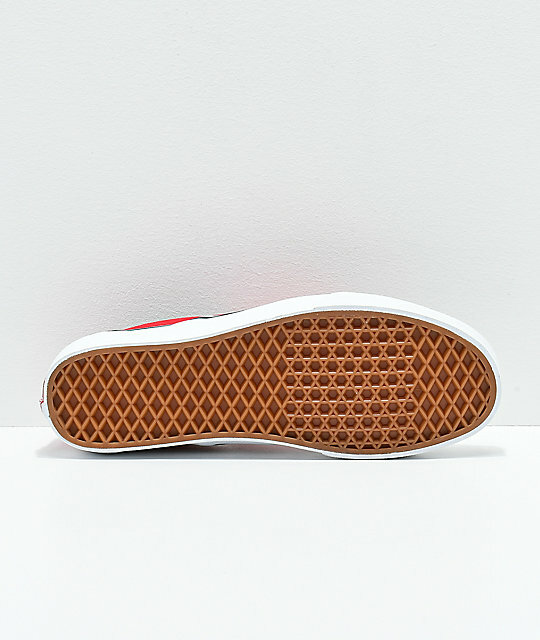 Vans' UltraCush insole for impact support.